What would you do if you had been doing something for 100+ years and then suddenly it all came to a screeching halt? A new era had arrived and your old job was obsolete. That is what Noah had to deal with. For over 100 years Noah had been in the ship-building business and then suddenly the economy shifted and there was absolutely no demand for ships. Matter of fact, Noah found himself living several hundred miles from the nearest ocean! So what was he to do? Noah had to learn to adapt. The shipbuilding stage of his life was over, but his life wasn’t over. Noah had to deal with the reality that there are very few things in life that are forever. And thankfully he did and that is why you and I are here today. But the ONE THING for today is: You can and must adapt to change. Outside of your eternal soul, there is little that is eternal; this includes marriages and other close relationships, health, careers, and many other things. Maybe you’re in a “no man’s land” stage right now and you don’t know what to do. Maybe you’ve always been right-handed but you feel like your right arm has been ripped off. 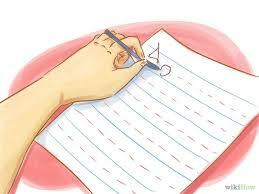 Dear friend, you must adapt—you must learn to write with your left hand. It will be tough but you can do it. A special stage of your life may be over, but your life is not over—God still has something for you to do; step up; step out…there’s a wide, wide world before you and there are generations yet to be born that are counting on you. Previous post ← Cutting off your nose to bless your face.